Metallic Decorative Sleeves to use as part of producing your own invitation packs. 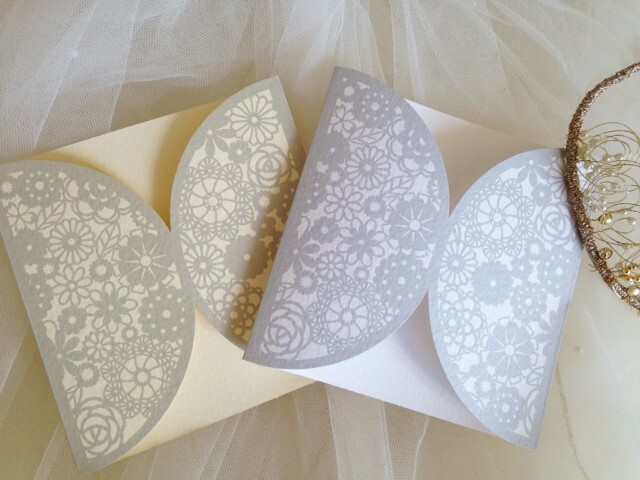 Luxurious heavyweight 270gsm hammered card in white or ivory. 15cm square. If you would like us to make your invitations then take a look at our Decorative Sleeve Wedding Invitations.